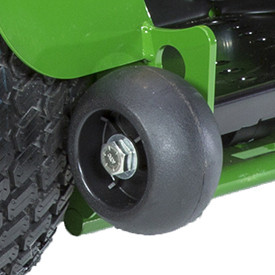 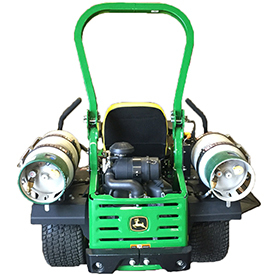 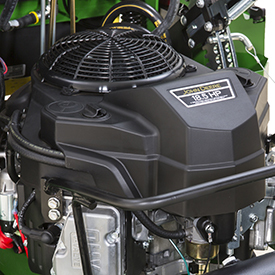 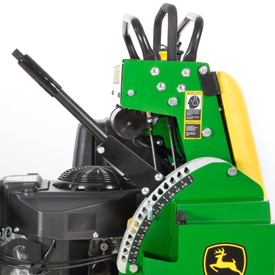 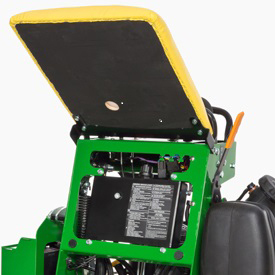 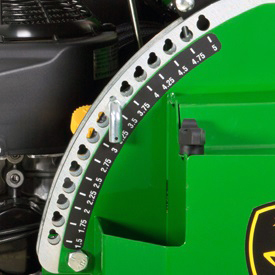 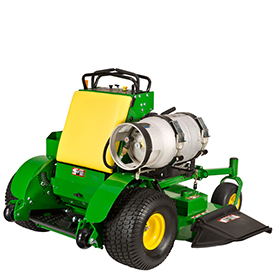 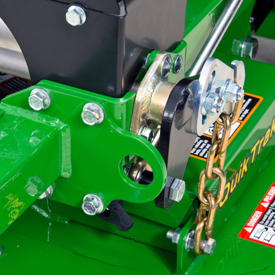 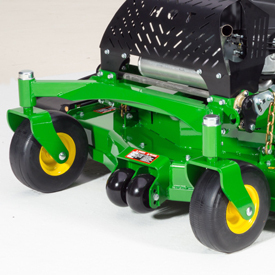 The compact design allows the QuikTrak to operate in tighter areas that a larger machine cannot. 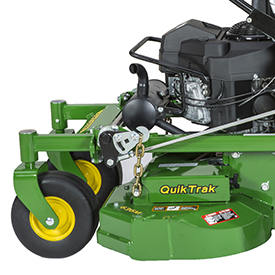 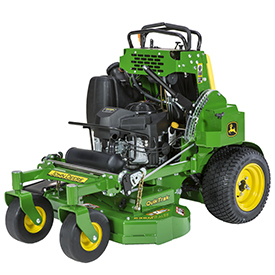 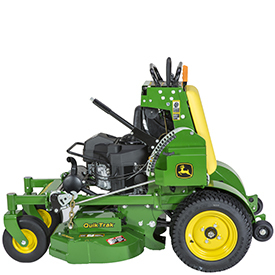 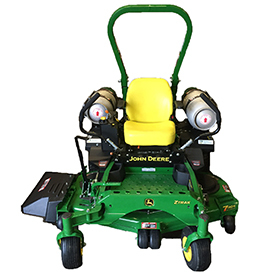 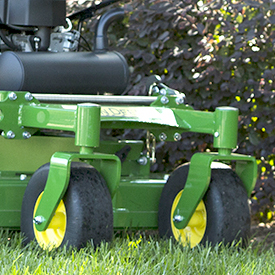 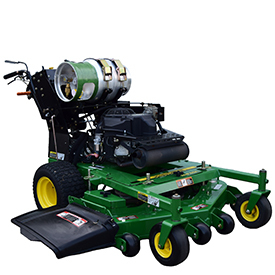 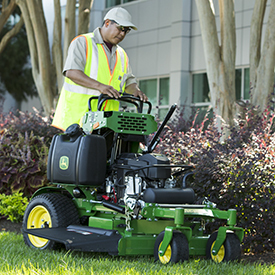 Often, this means the area can be mowed with a QuikTrak so it is not necessary to switch to a walk-behind mower, which helps reduce the time on site. 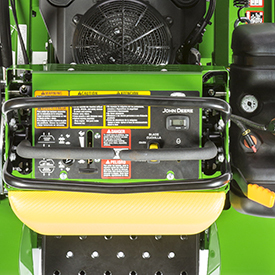 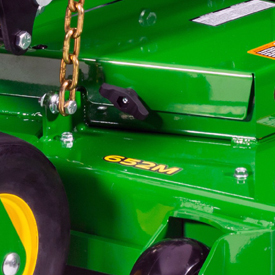 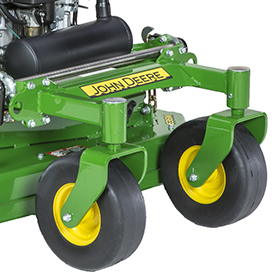 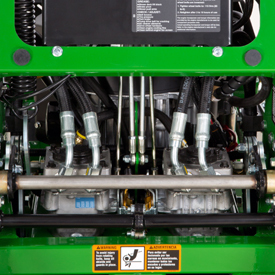 Superior stability gives more control and confidence when operating. 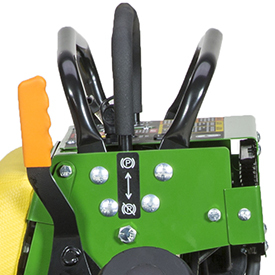 Better visibility allows for quick operator reaction times to changing terrain and obstructions. 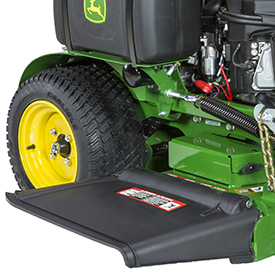 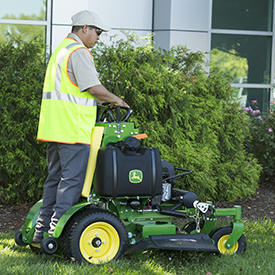 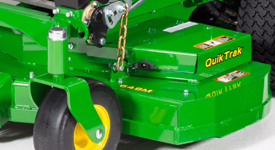 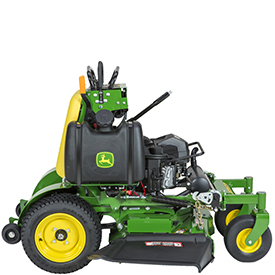 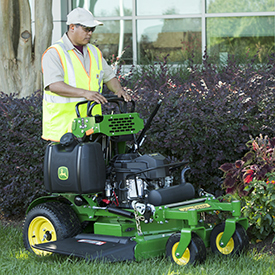 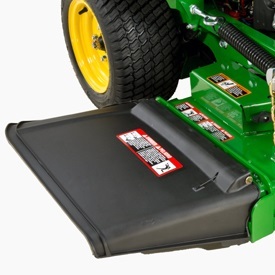 Minimal operator station obstruction allows safe and fast exits for clearing mower-path obstacles. 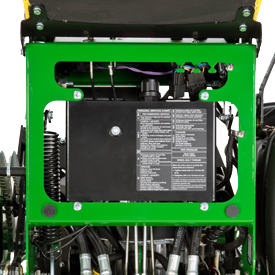 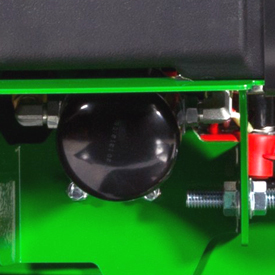 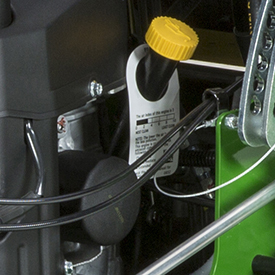 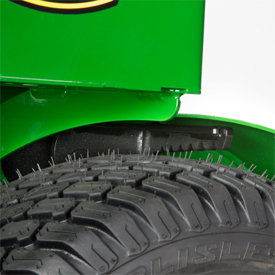 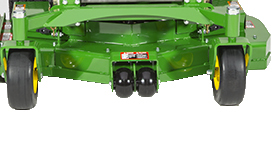 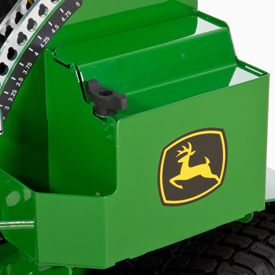 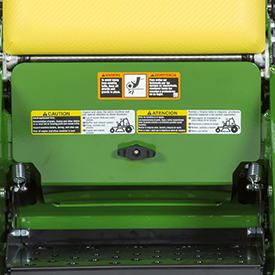 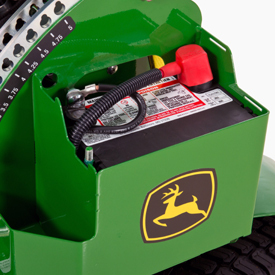 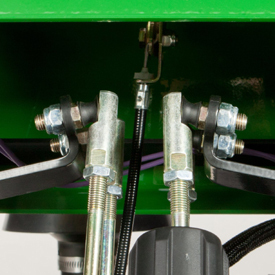 Simply raising the leaning pad exposes the hydrostatic oil reservoir, control linkage, and other service areas. 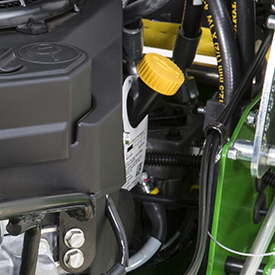 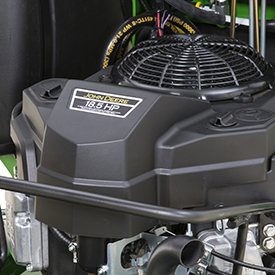 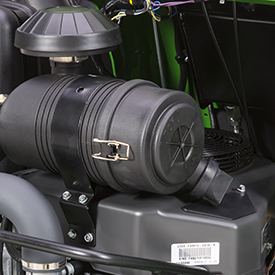 Transmission bypass valves enable moving the vehicle without the engine running.